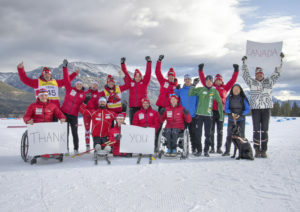 Thank you to the volunteers, the spectators, and our event partners for all of your tremendous support for the Canmore 2017 World Para Nordic Skiing World Cup. We successfully hosted 177 athletes and 101 team staff from 18 nations, 250 volunteers, and 2000 spectators from December 8-18, 2017! Thank you also to the athletes who competed and inspired all of us, and good luck in the road to Pyeongchang!